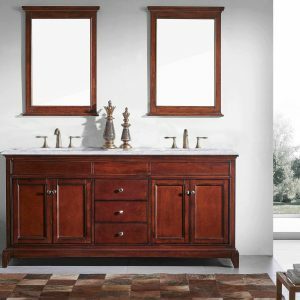 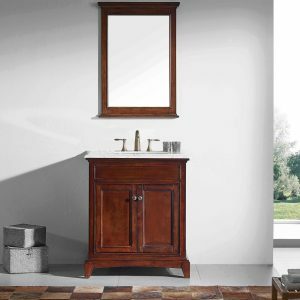 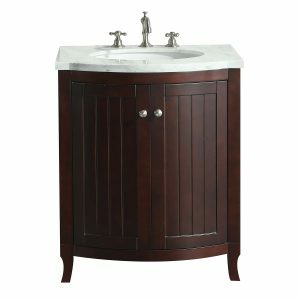 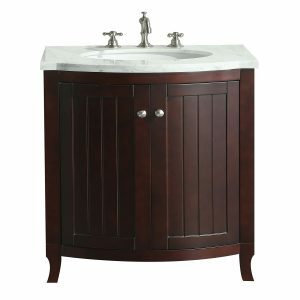 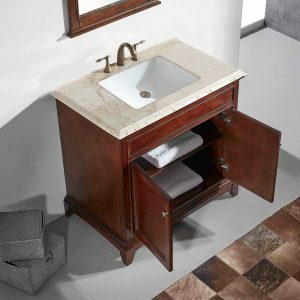 Eviva Elite Princeton 24″ Teak finish solid wood line bathroom vanity is one of the most elegant pieces designed with a Double OG Italian Crema Marfil Marble counter-top that accents the bathroom cabinet with a very luxurious look. 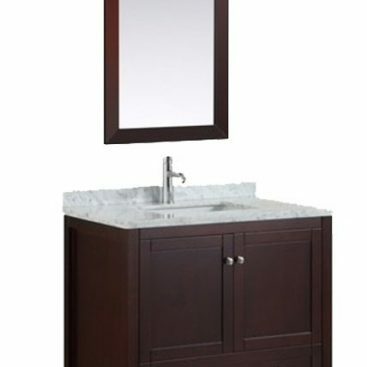 The 24 inch Princeton bathroom vanity is designed and fully constructed of solid wood (base and doors). 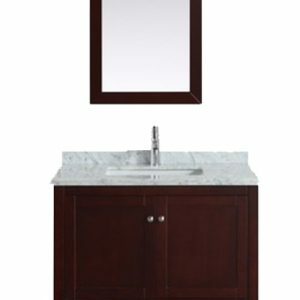 Soft closing hinges are also another feature of the Princeton bathroom vanities. A perfect wide under mount porcelain sinks integrated within the counter-top piece that minimizes over splashing. 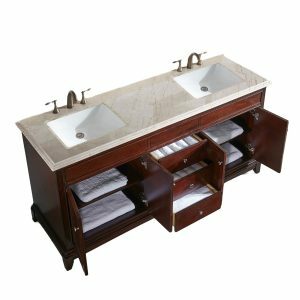 Eviva Elite Princeton 60″ Teak finish solid wood line bathroom vanity is one of the most elegant pieces designed with a Double OG Italian Crema Marfil Marble counter-top that accents the bathroom cabinet with a very luxurious look. 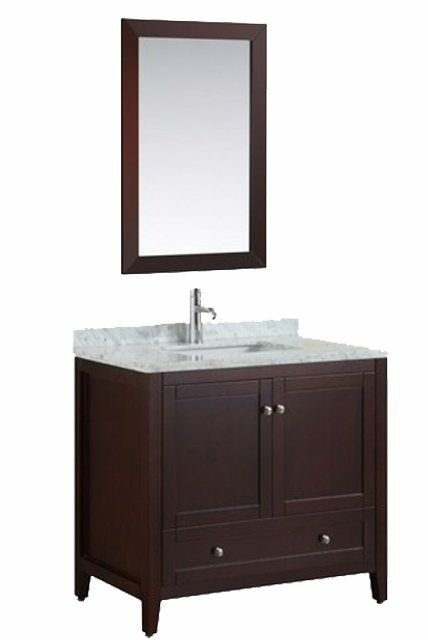 The 60 inch Princeton bathroom vanity is designed and fully constructed of solid wood (base and doors). 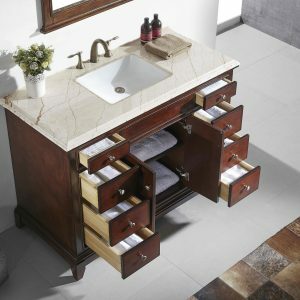 Soft closing hinges are also another feature of the Princeton bathroom vanities. 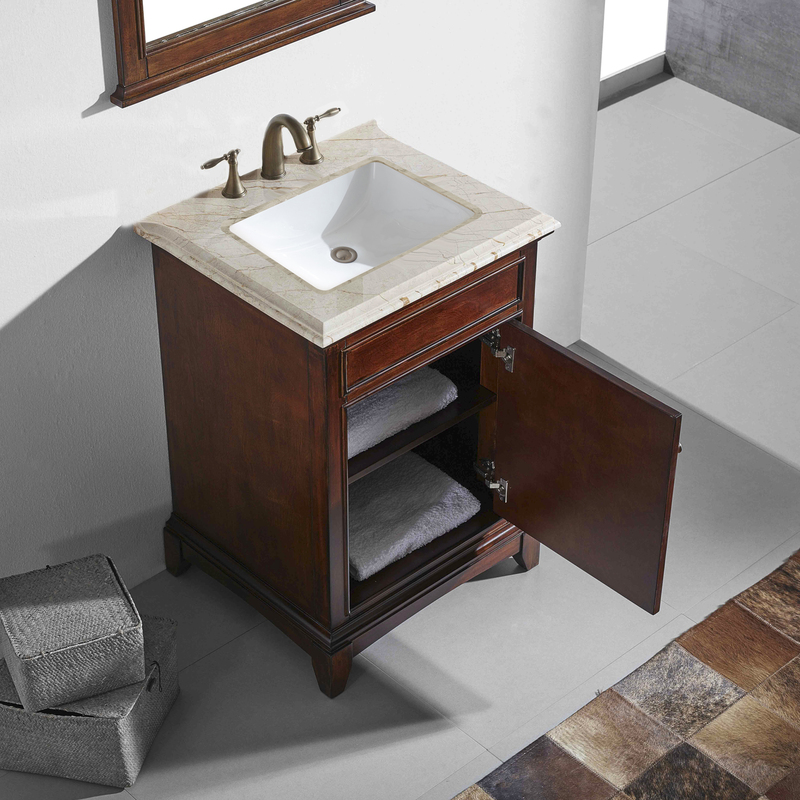 A perfect wide under mount porcelain sinks integrated within the counter-top piece that minimizes over splashing. 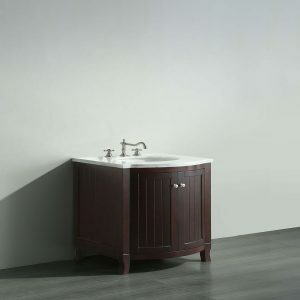 Eviva Lime 24″ Bathroom Vanity Teak (Dark Brown) with White Jazz Marble Carrera Top has a clean finish that satisfies any bathroom. 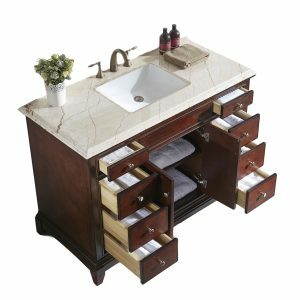 One of the best selling bathroom vanities. 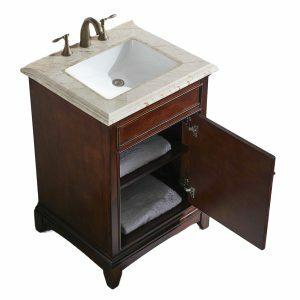 If you are looking for a 24 inch bathroom cabinet that will provide you with a sweet look then this might be your best option. 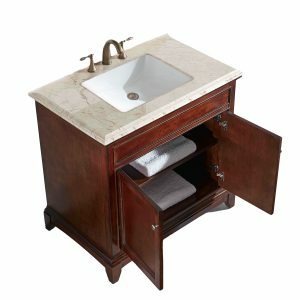 Eviva Lime 30″ Bathroom Vanity Teak (Dark Brown) with White Jazz Marble Carrera Top has a clean finish that satisfies any bathroom. 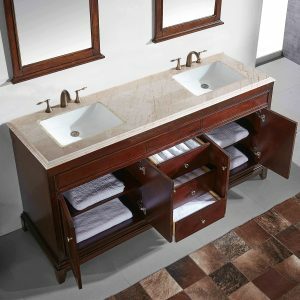 One of the best selling bathroom vanities. If you are looking for a 30 inch bathroom cabinet that will provide you with a sweet look then this might be your best option. 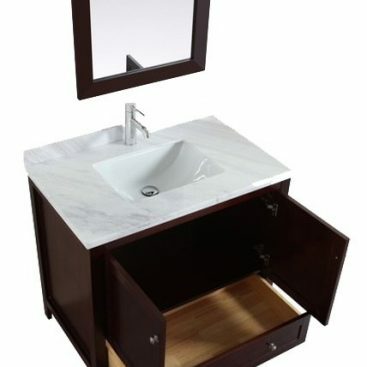 Eviva Odessa Zinx Plus Dark Teak 24 inch bathroom vanity with white Carrera marble counter-top and Porcelain Sink has unique finish lines within its vertical shape providing a perfect traditional look for your bathroom. 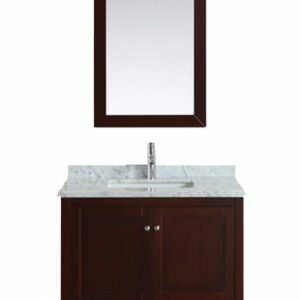 Odessa comes with a very natural marble white Carrera counter-top along with a pre-installed high quality porcelain under mount sink that makes Odessa Zinx plus one of the best-selling bathroom vanities in the U.S. market today. 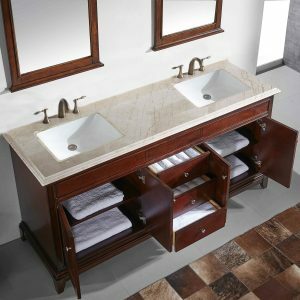 Eviva Odessa Zinx+ Dark Teak 30 inch bathroom vanity with a white Carrera jazz marble counter-top and Porcelain Sink has unique finish lines within its vertical shape providing a perfect traditional look for your bathroom, Odessa collection package comes with a very natural marble white Carrera counter-top along with a pre-installed high quality porcelain under mount sink that makes Odessa Zinx Plus one of the best-selling bathroom vanities in the U.S. market today.